The Philippines has freed nine Chinese fishermen convicted of poaching endangered sea turtles after they completed one-year jail terms, officials said on Wednesday. The nine, arrested in disputed waters in May last year, were jailed after they failed to pay fines of $100,000 each for poaching and an additional $2,662 each for catching an endangered species. "They were treated well. They had what other prisoners were eating. Chinese businessmen were also allowed to bring them food like noodles," Raul Mapa, a jail officer in Puerto Princesa where the prisoners had been jailed, told AFP. A local court issued a release order late Monday on the request of the fishermen's lawyer, in accordance with procedure, acting clerk of court Lourdes Dadule told AFP. 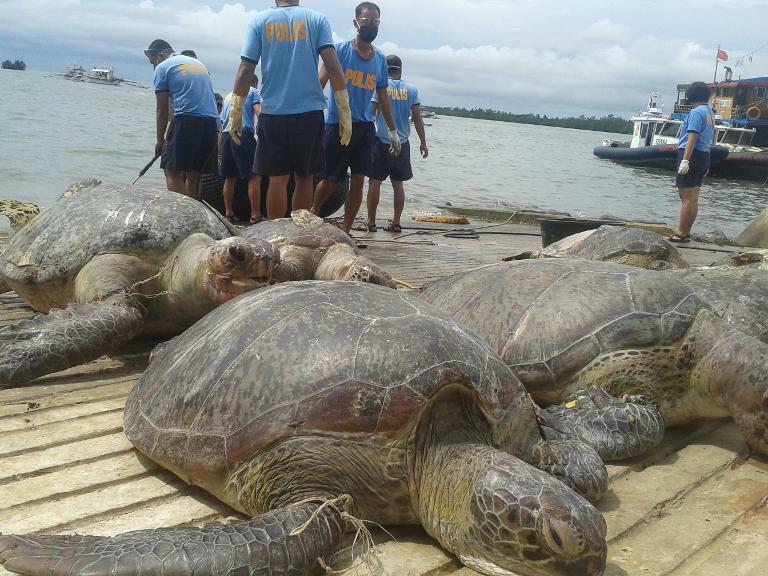 Police said they found hundreds of sea turtles, protected under Philippine law, on the group's 15-tonne boat at Half Moon shoal, located on the eastern edge of the Spratly island chain claimed by both the Philippines and China. The shoal is located 111 kilometres (60 nautical miles) west of Palawan island, which Philippine authorities said was within the country's 200-nautical mile exclusive economic zone. 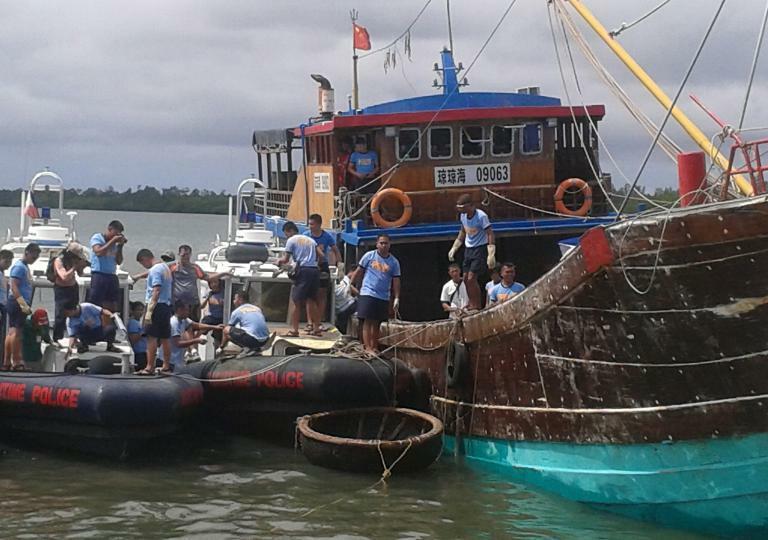 The group's catch and fishing equipment were confiscated. The incident put further strain on ties between the two nations who have been wrangling over islands and reefs in waters that are believed to hold vast oil and gas deposits. The Chinese prisoners were released to Philippine immigration officials in Puerto Princesa, a city on Palawan, on Tuesday night, Mapa said. They were scheduled to be flown to the immigration bureau headquarters in Manila on Wednesday, he said. Immigration spokeswoman Elaine Tan could not immediately say whether the nine would be deported to China. A spokesperson for the Chinese embassy in Manila had no comment. China's claim to almost the entire South China Sea conflicts with those of the Philippines, Vietnam, Malaysia and Taiwan. The Philippines has sought to raise alarm globally over what it describes as "massive" reclamation works by China on disputed reefs in the Spratlys. Philippine President Benigno Aquino last week drew parallels between China's island-building and Nazi Germany's creeping invasion of Europe just before World War II. Aquino has sought arbitration of the Philippines' territorial row with China before a United Nations-backed tribunal and sought stronger military alliances with the United States and Japan.